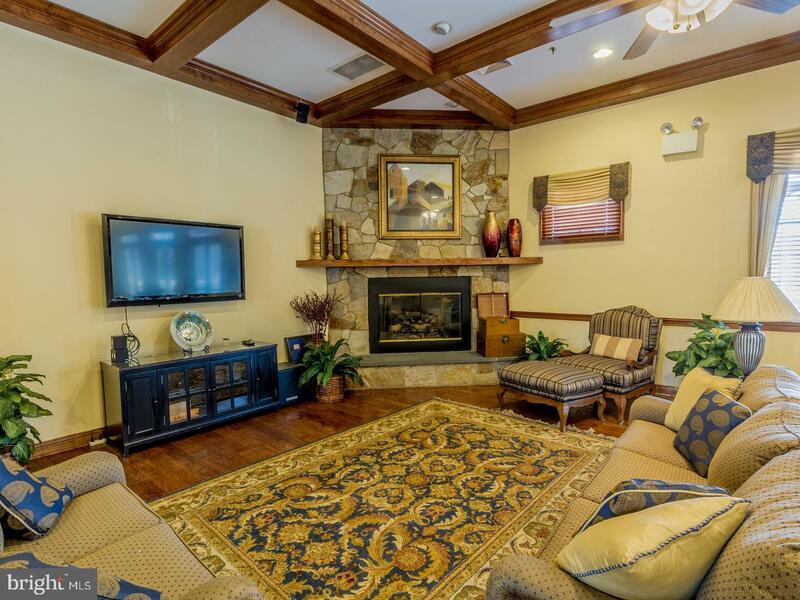 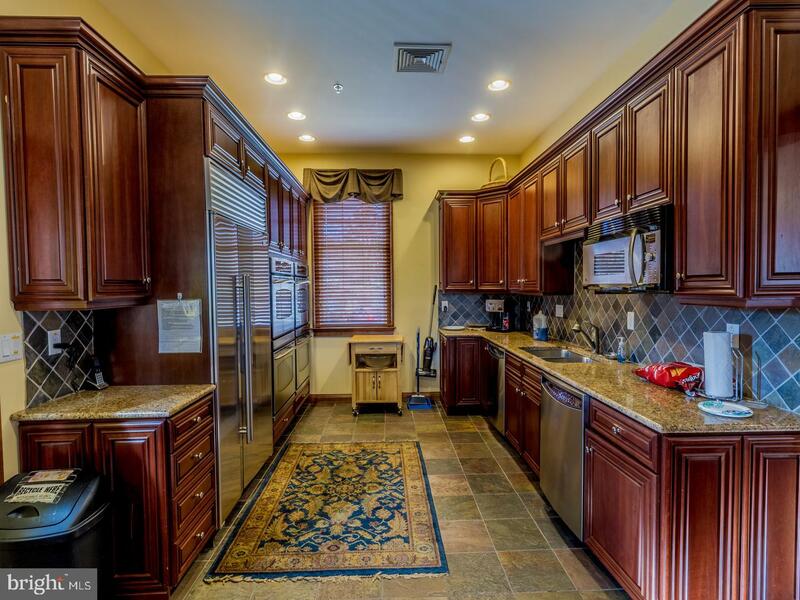 Welcome to Garnet Valley's premier active adult community, Riviera at Concord. 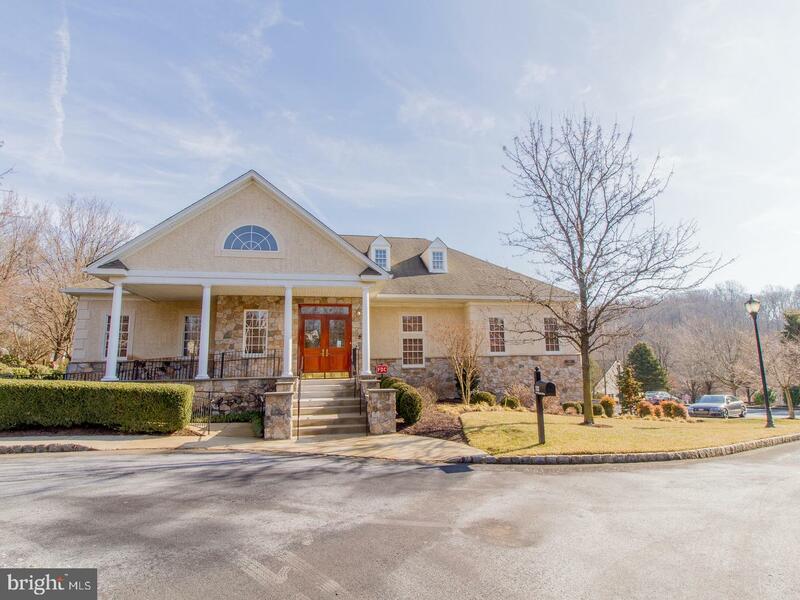 Driving in to the community through the electronic private gate you will notice the well maintained grounds that surround this picturesque community. 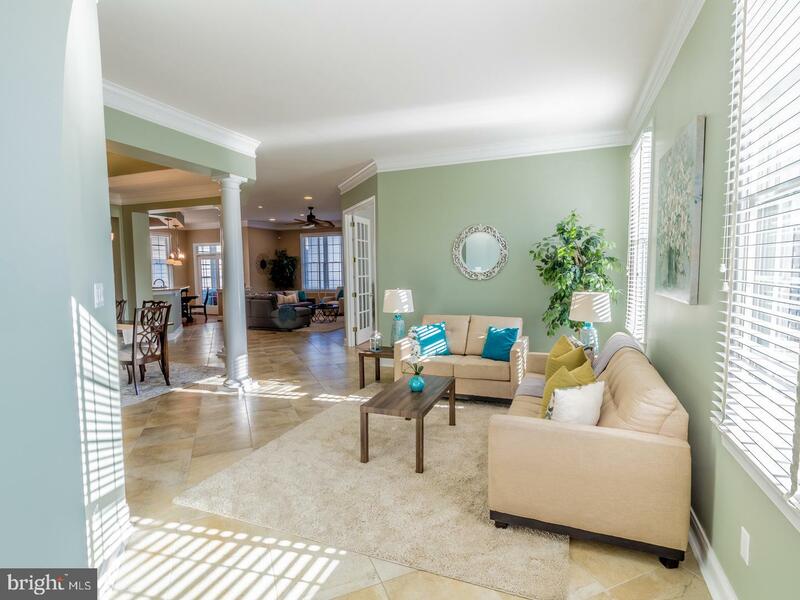 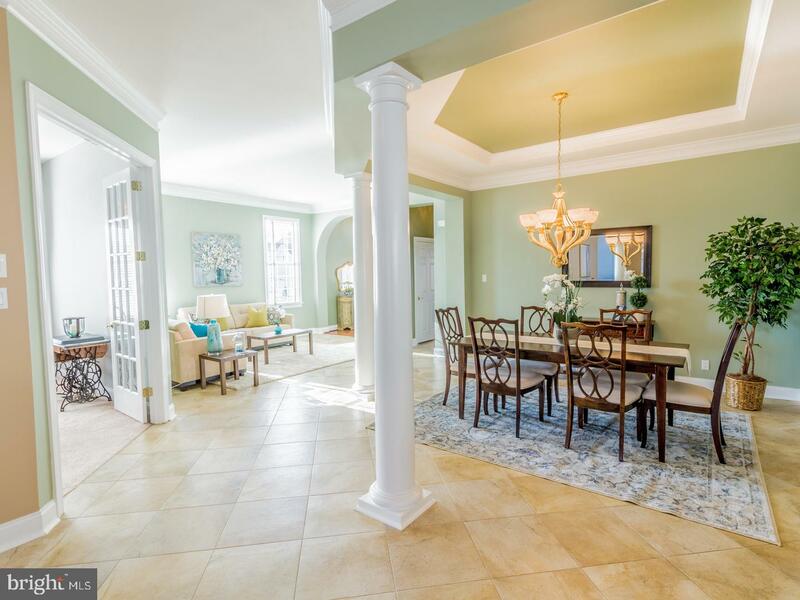 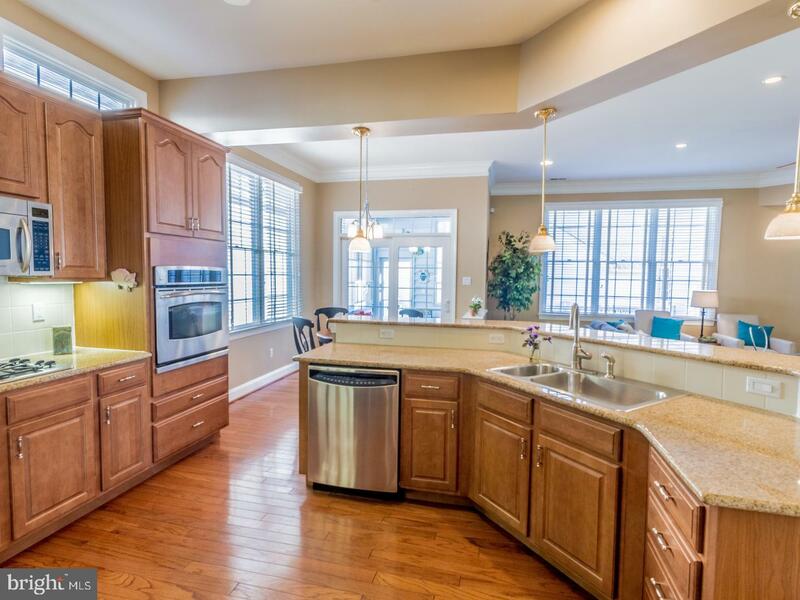 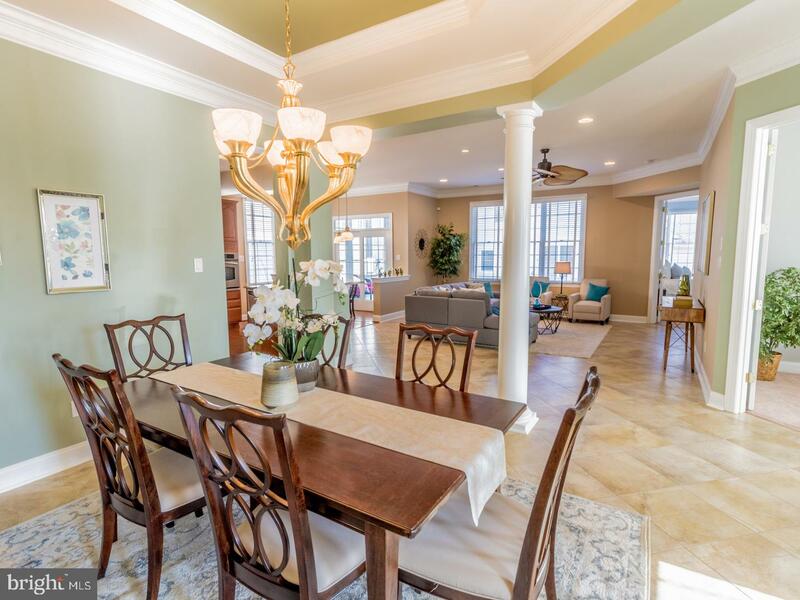 The beautiful home is located on a corner lot within walking distance to the clubhouse. 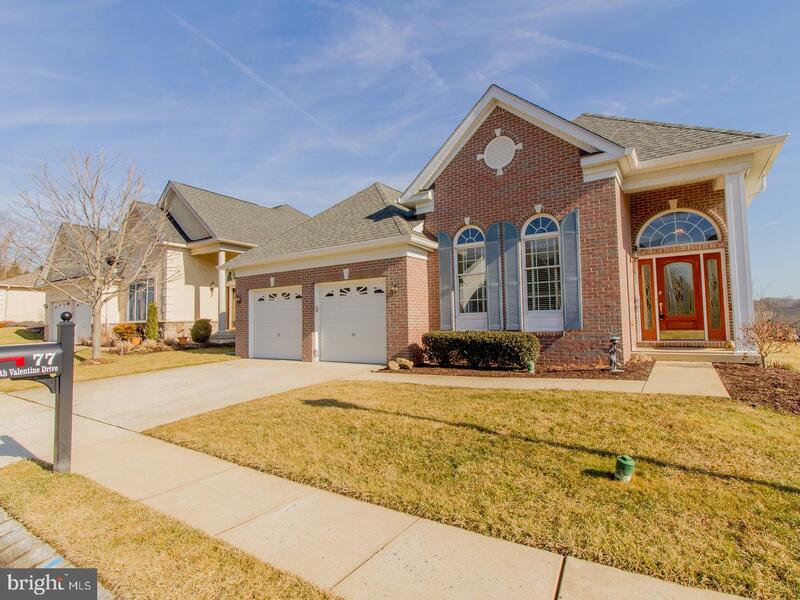 Walking up to the house past the manicured landscaping to a welcoming covered porch that leads into a beautiful foyer. 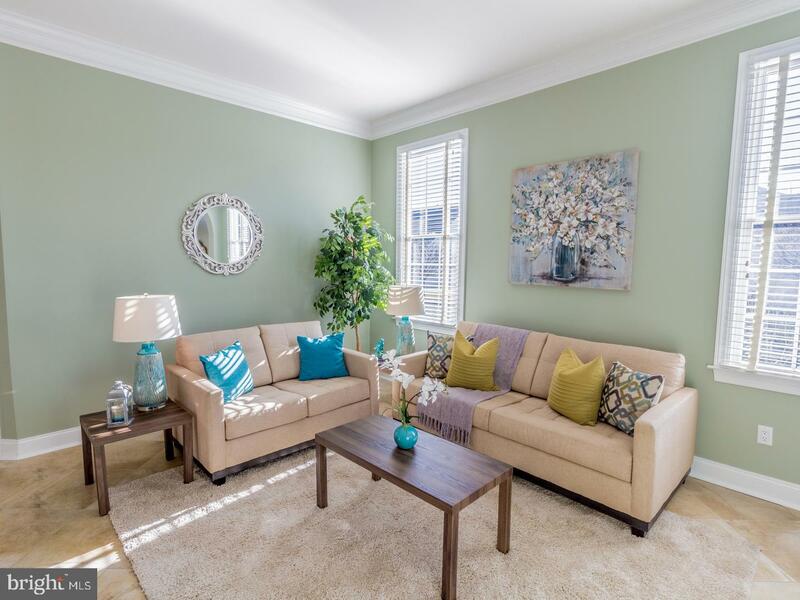 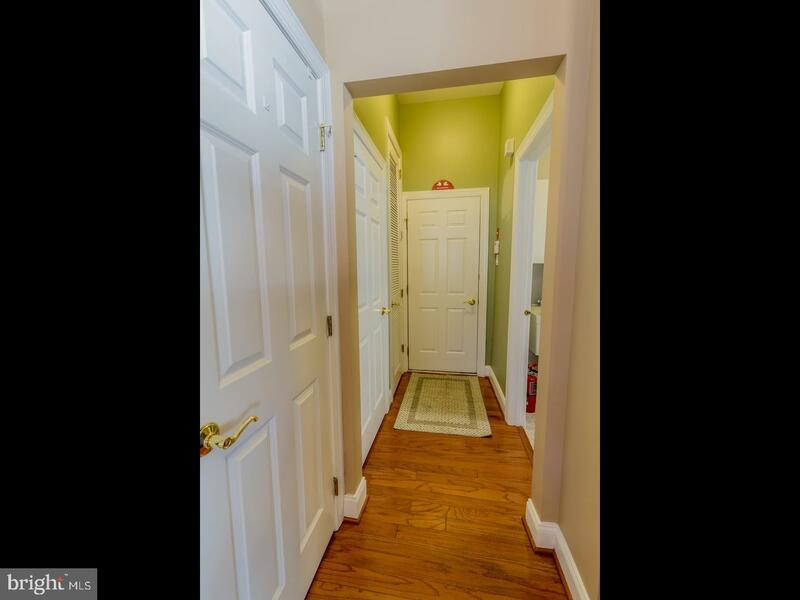 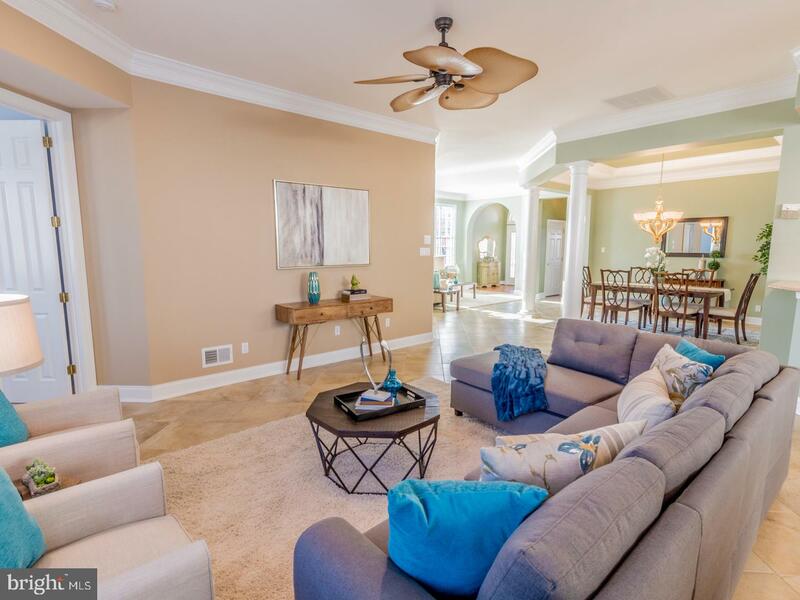 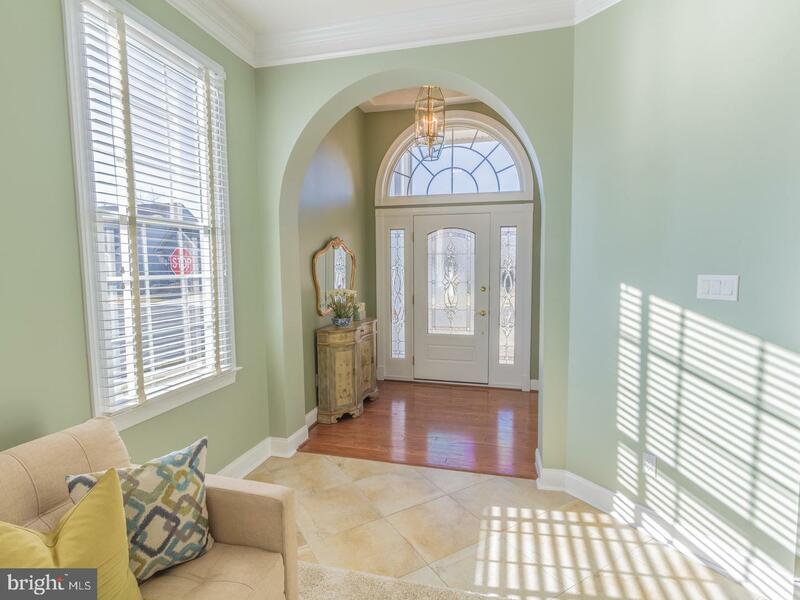 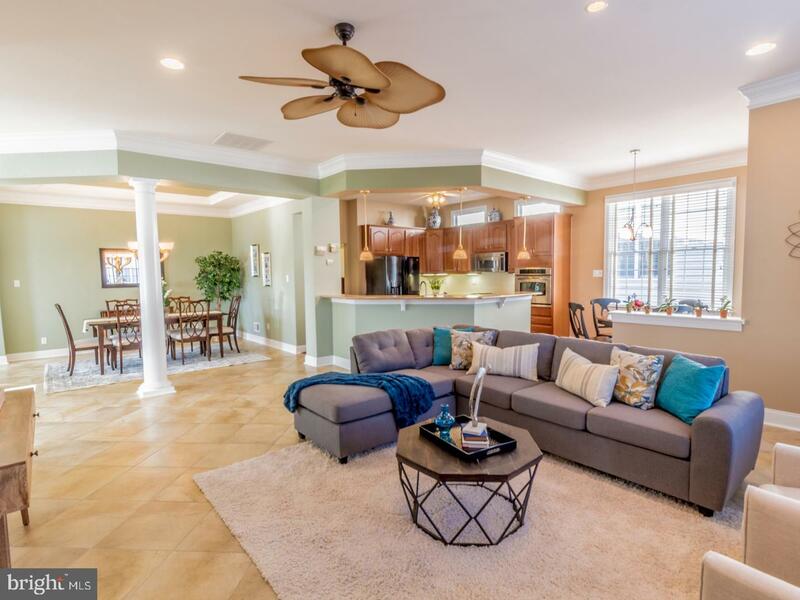 Once inside the home you will be welcomed by a spacious open floor plan. 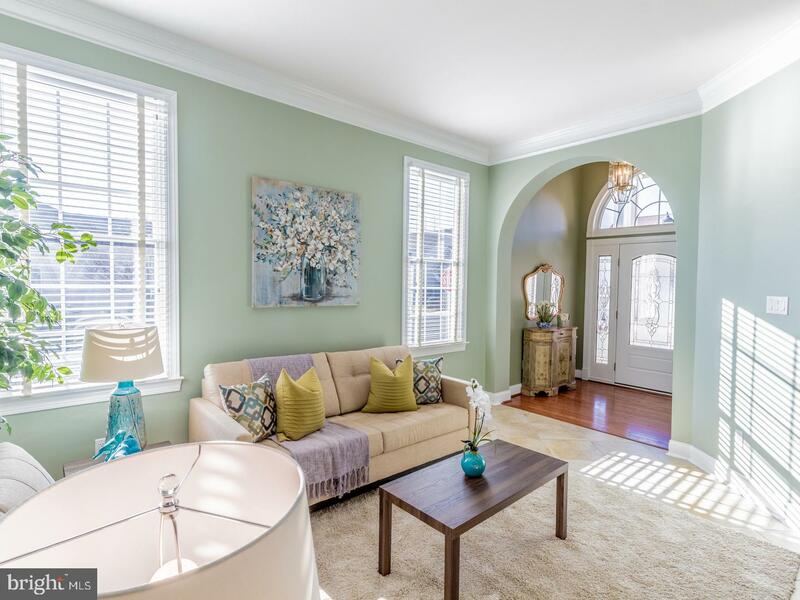 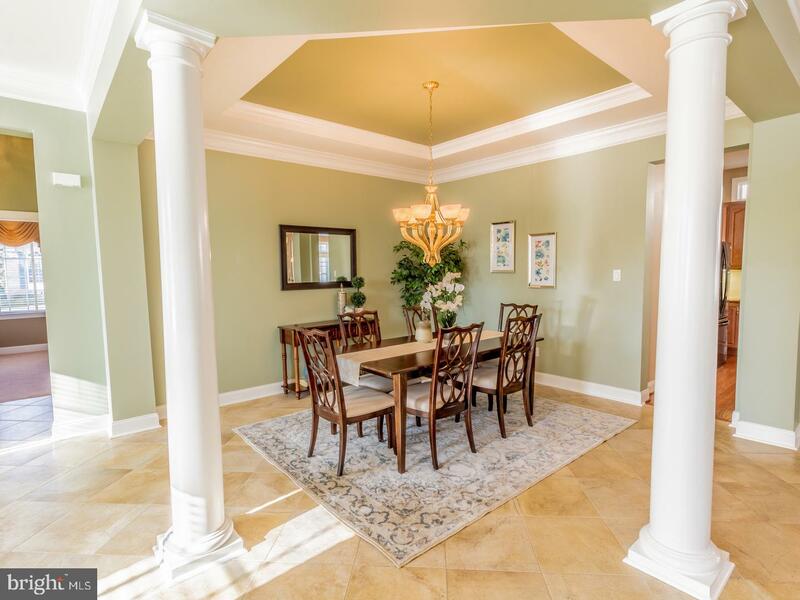 The living room offers a conversation area that leads into a beautiful dining room with tray ceiling and gracious moldings. 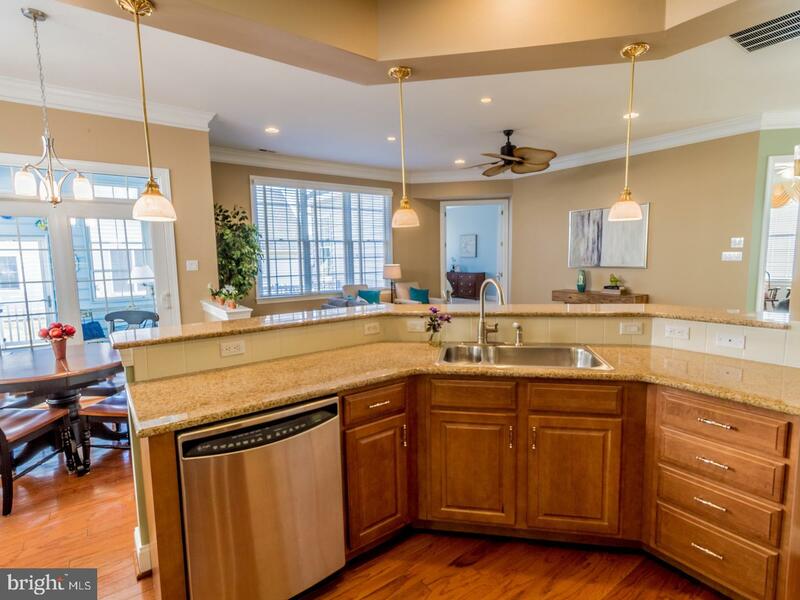 The spacious kitchen is located just off the dining room and offers granite countertops, tile backsplash, cooktop and wall oven. 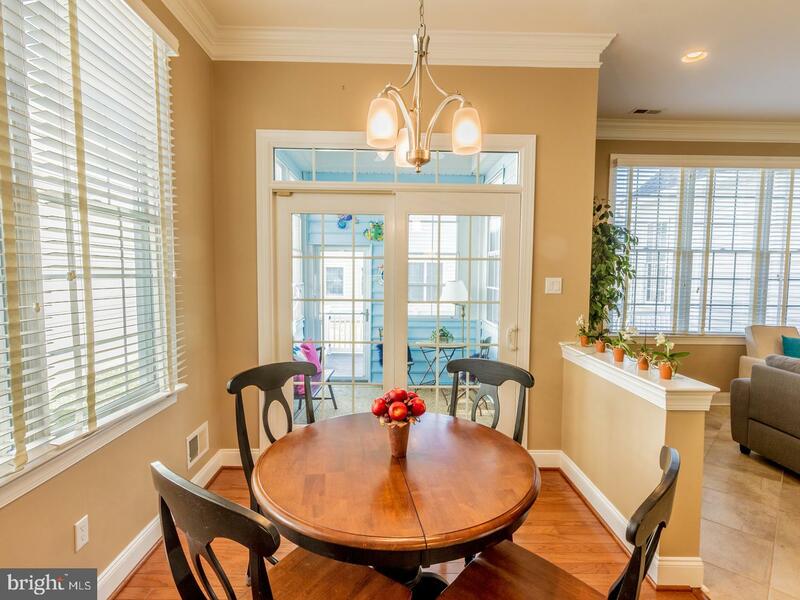 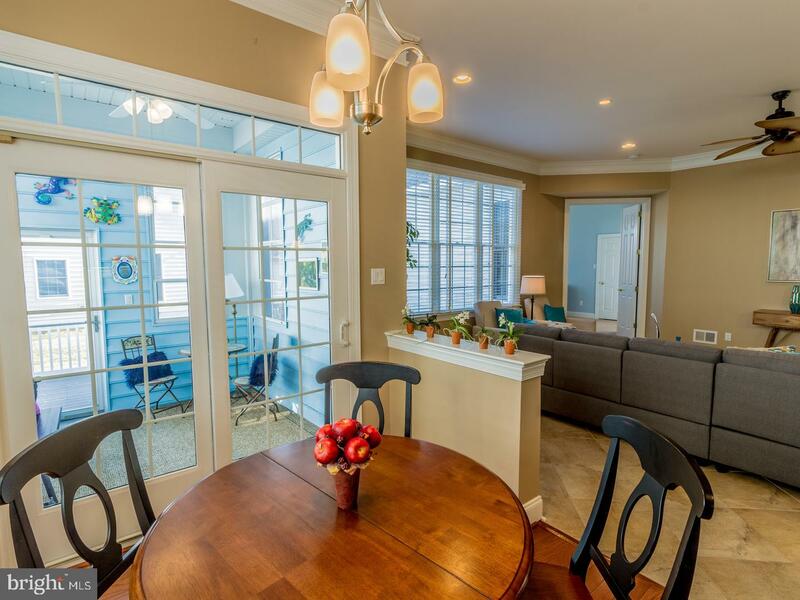 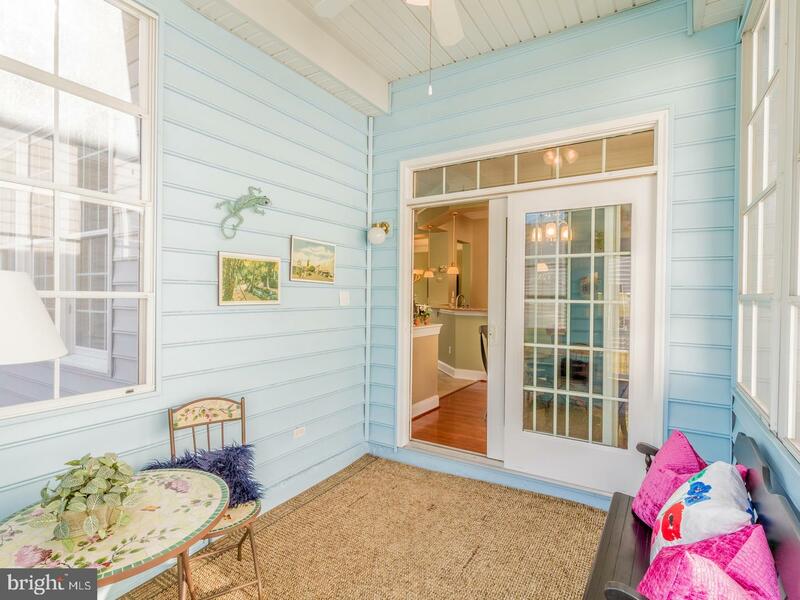 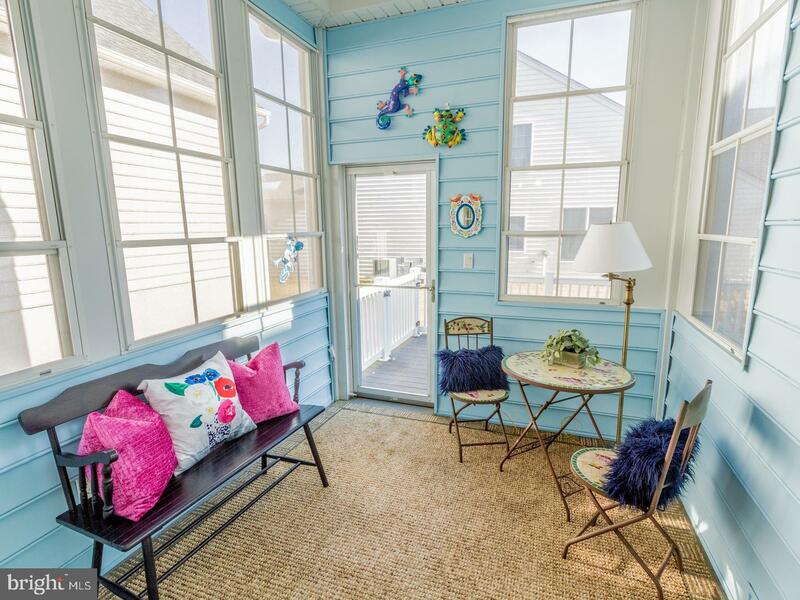 The breakfast nook in the kitchen is filled with natural light and leads you out to a screened in porch followed by a trexx deck in which to spend those sunny days or cool evenings. 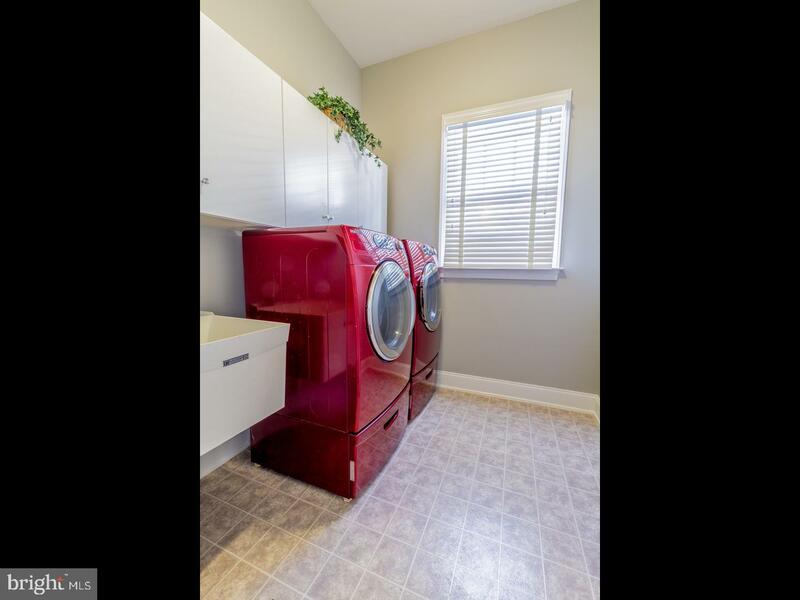 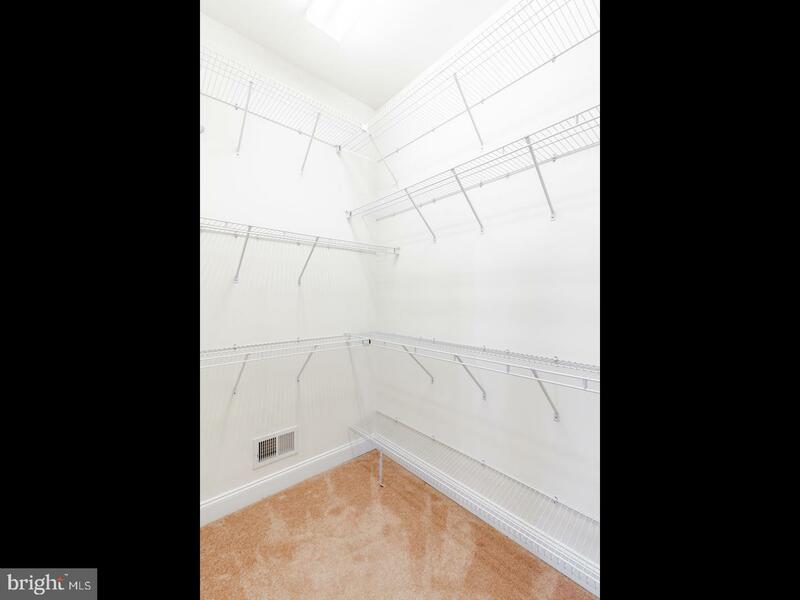 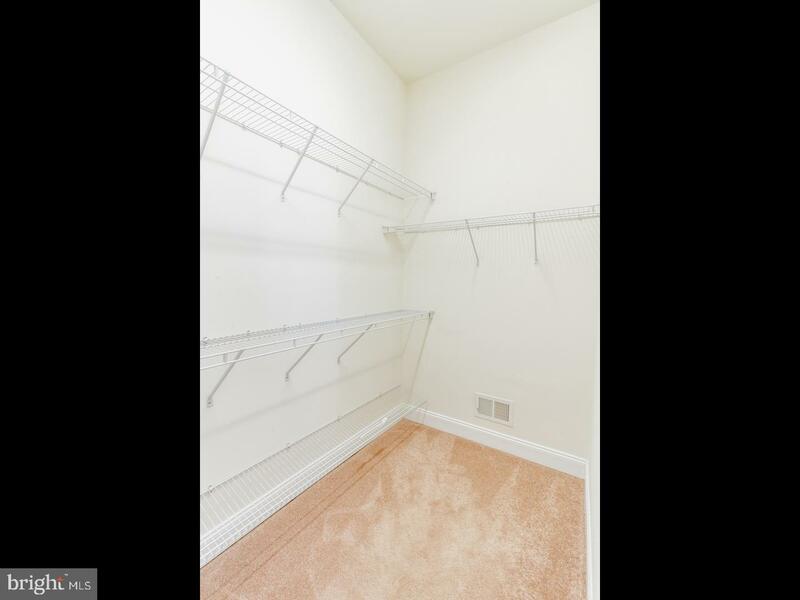 The laundry/mudroom is adjacent to the kitchen and leads you out to a 2 car garage. 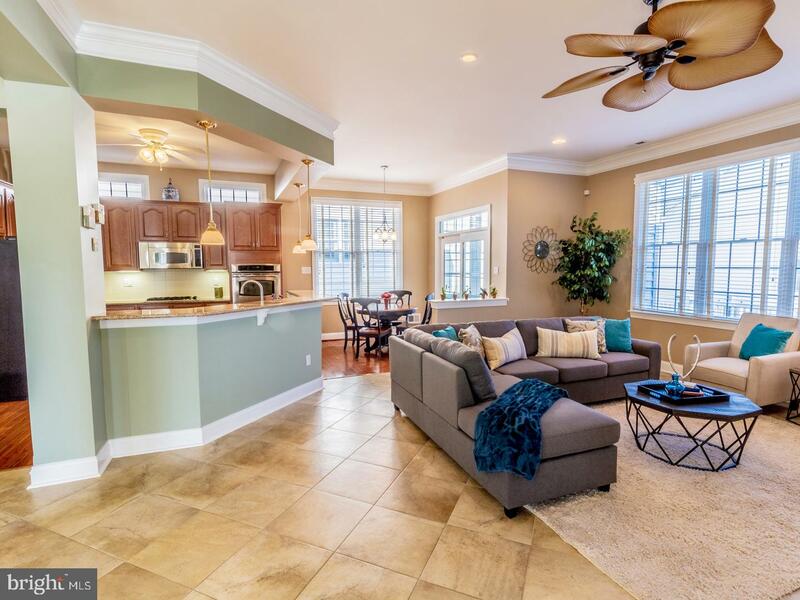 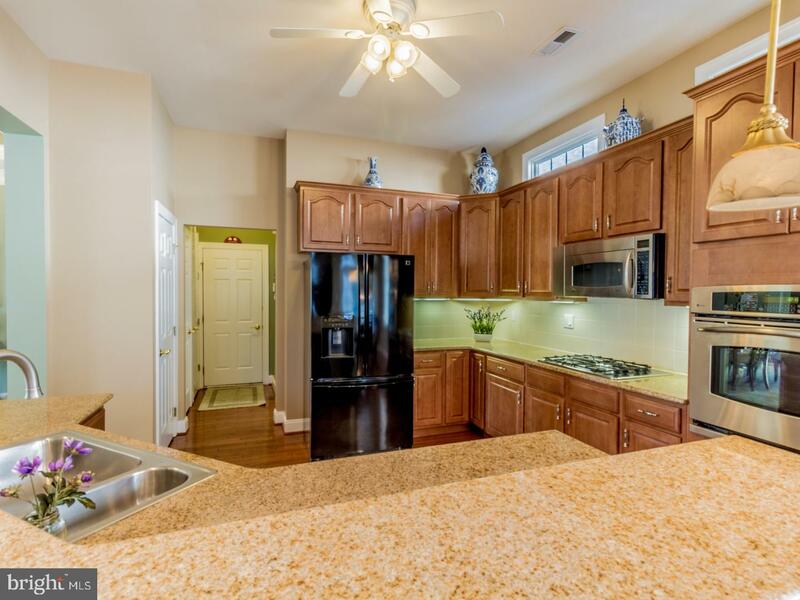 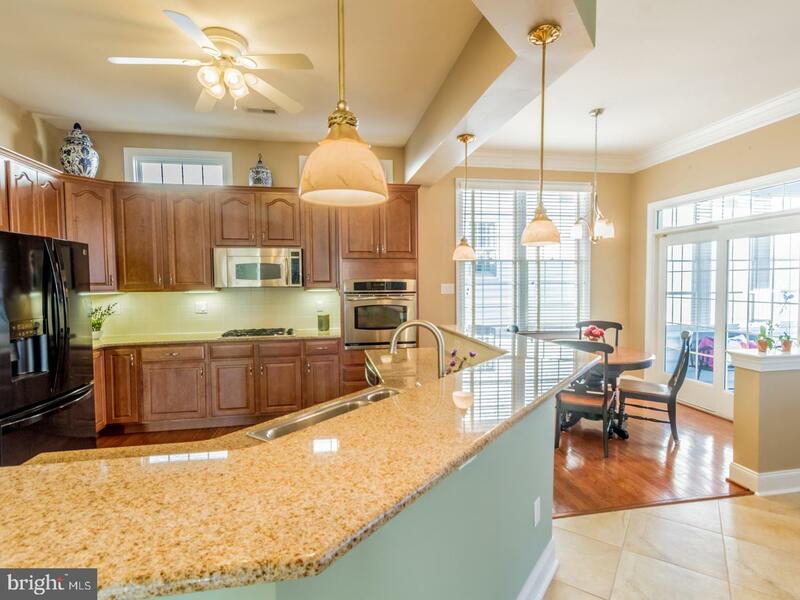 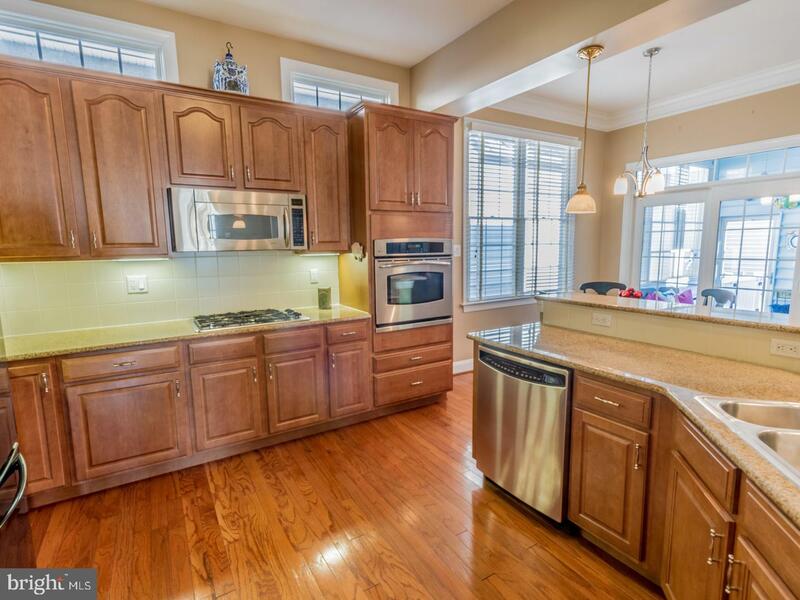 Family room with recessed lighting is open to the kitchen and dining room great for entertaining. 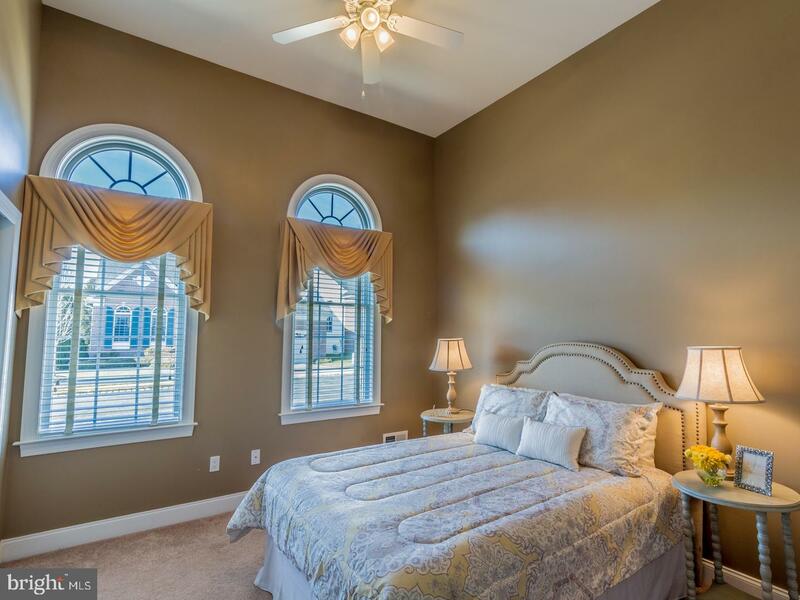 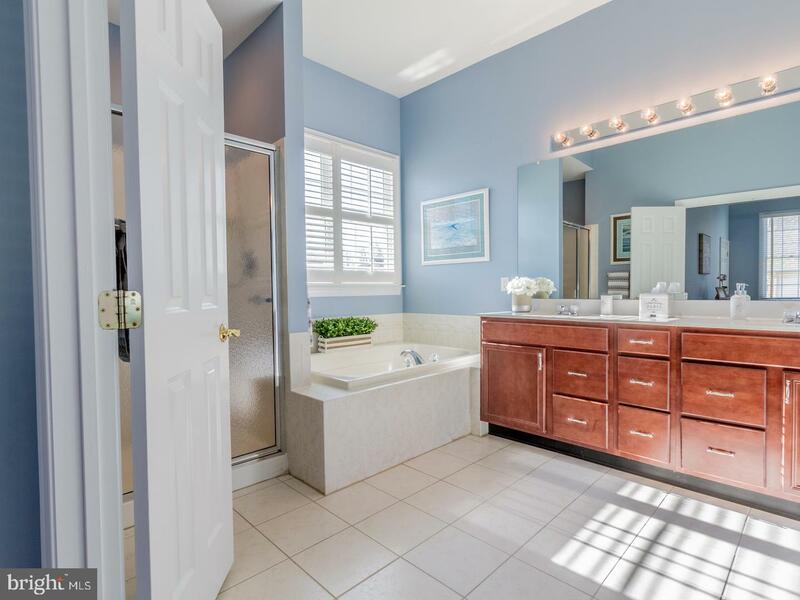 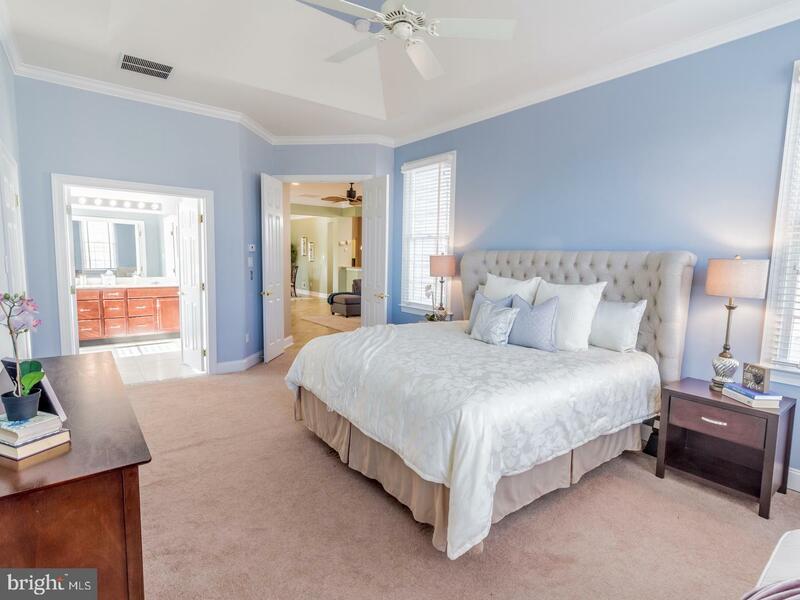 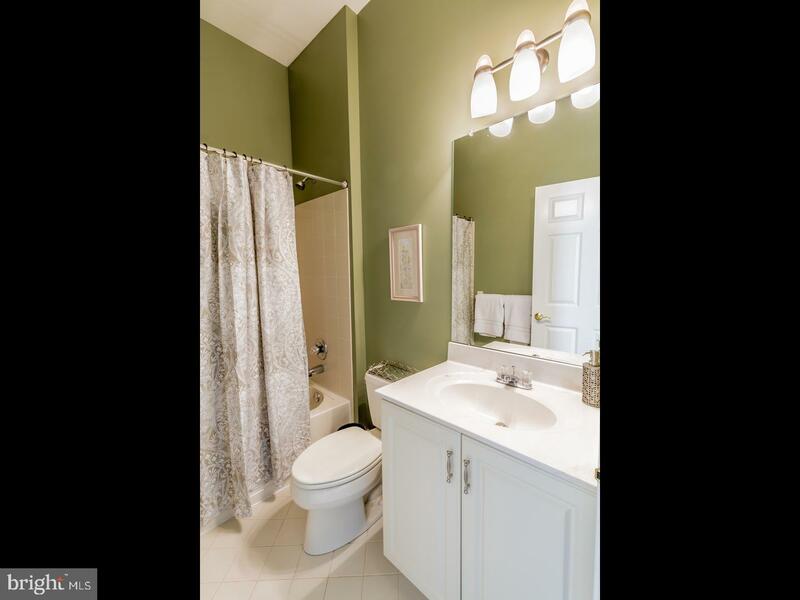 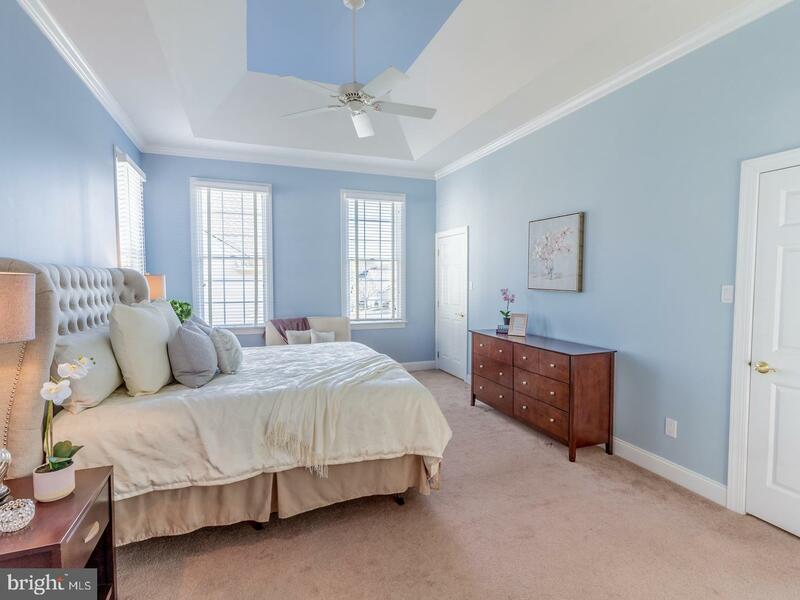 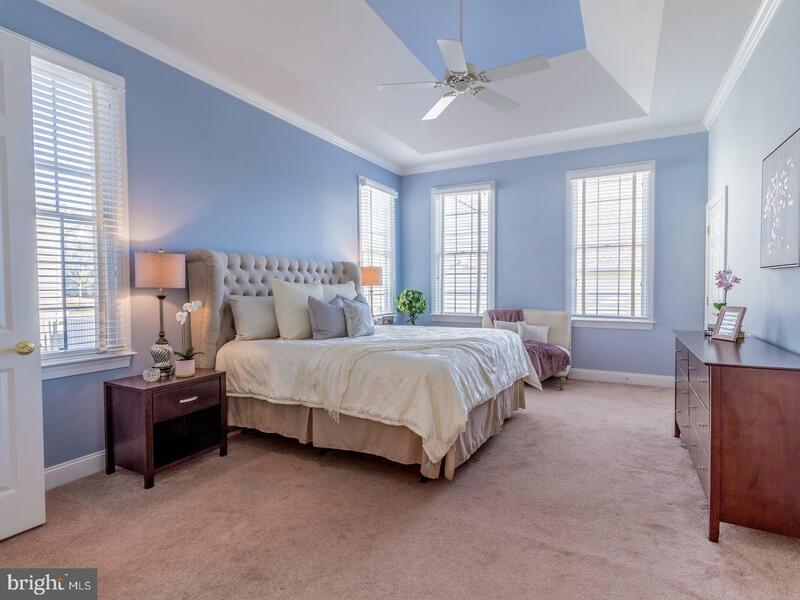 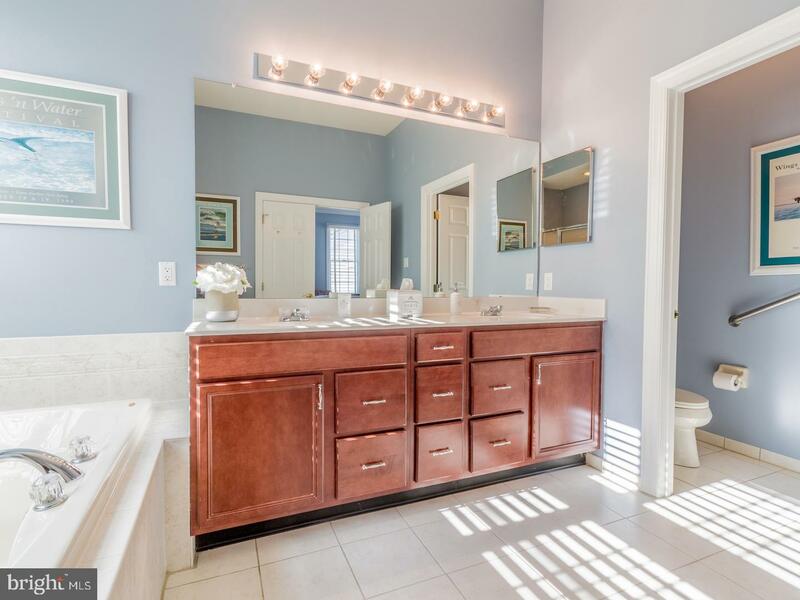 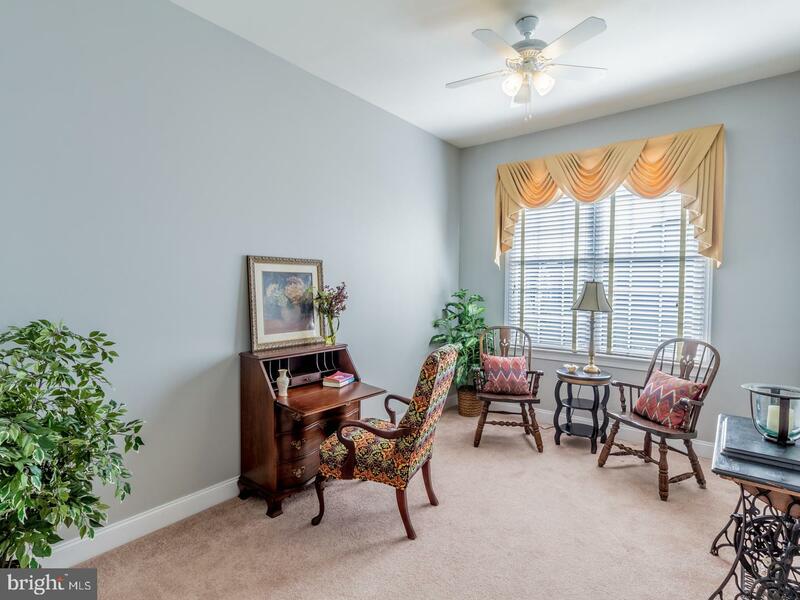 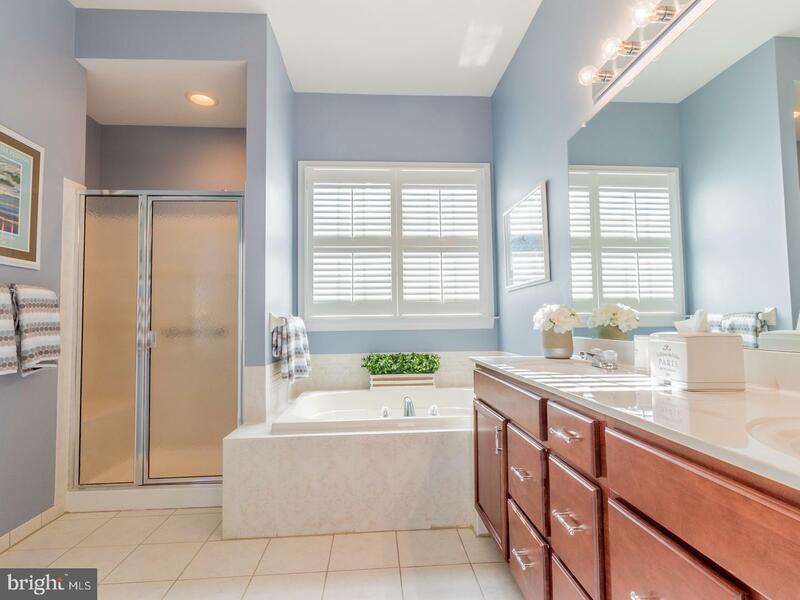 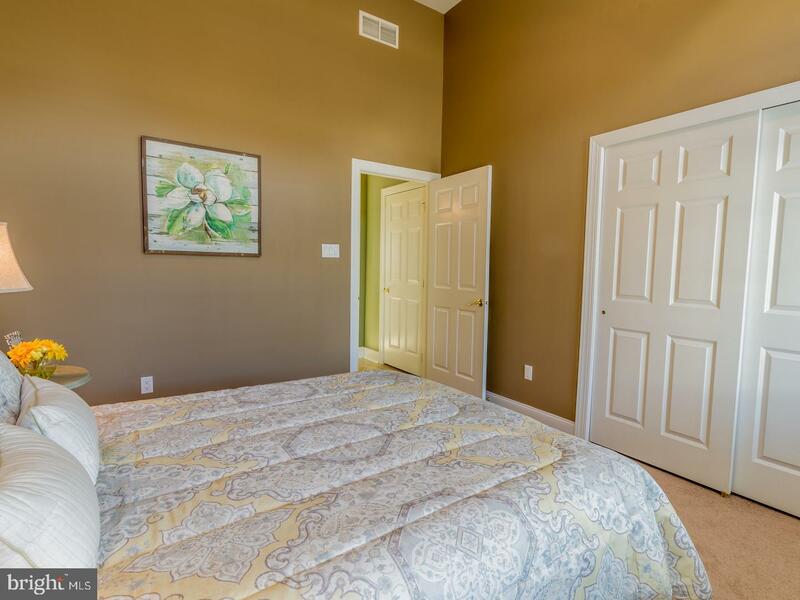 The large master bedroom located in the rear of the home offers an abundance of natural light, tray ceiling, two walk-in closets and spacious bathroom complete with dual vanity, whirlpool tub, stall shower, linen closet and separate toilet area. 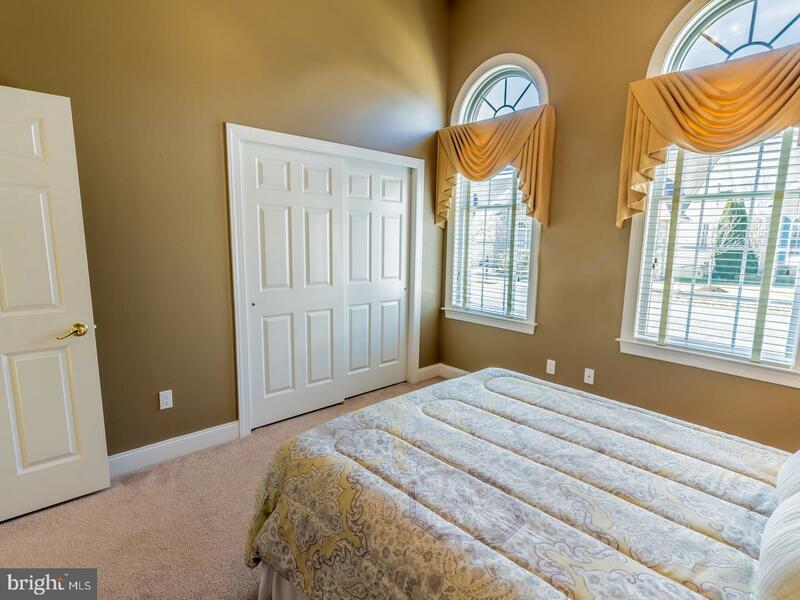 Second bedroom privately located in the front of the home adjacent to a full bath perfect for guests. 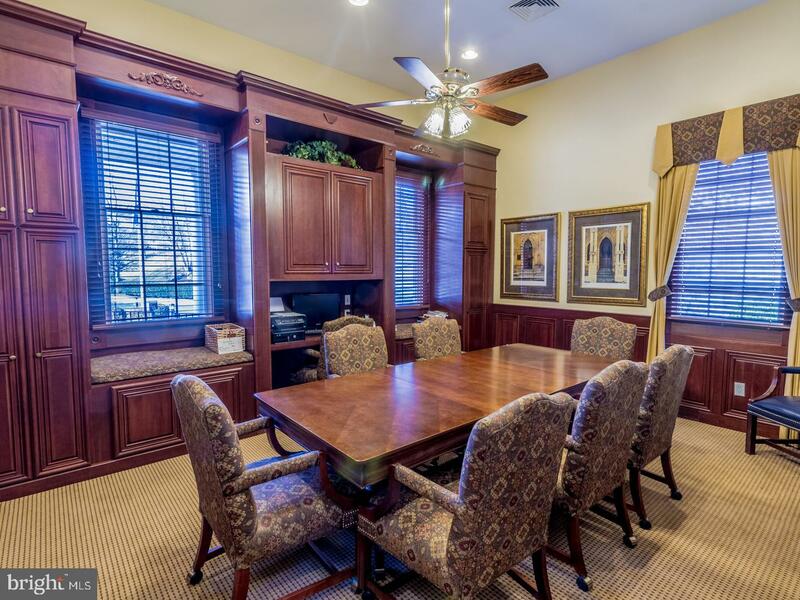 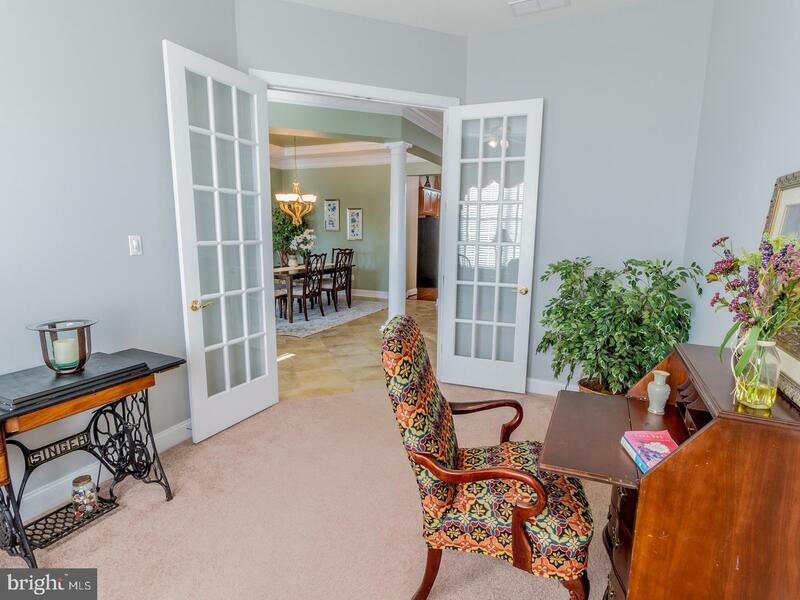 A centrally located study/office can be accessed through glass french doors for privacy. 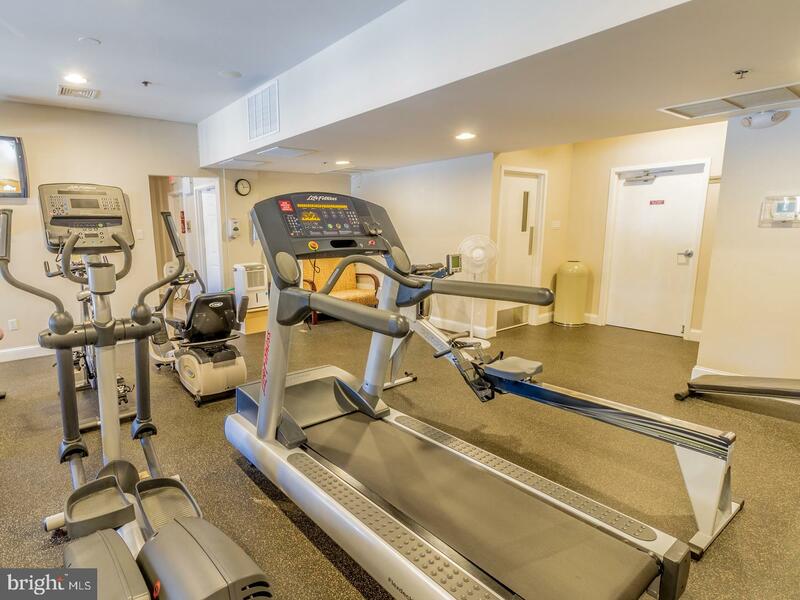 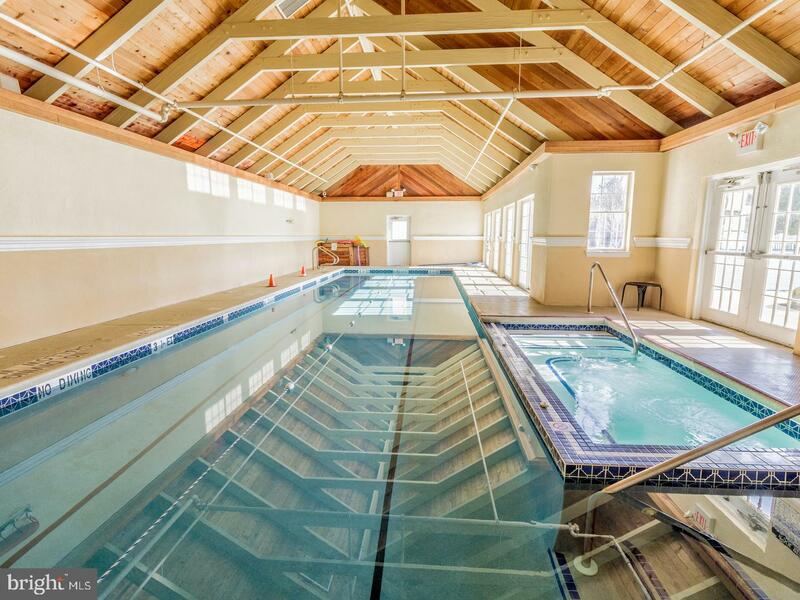 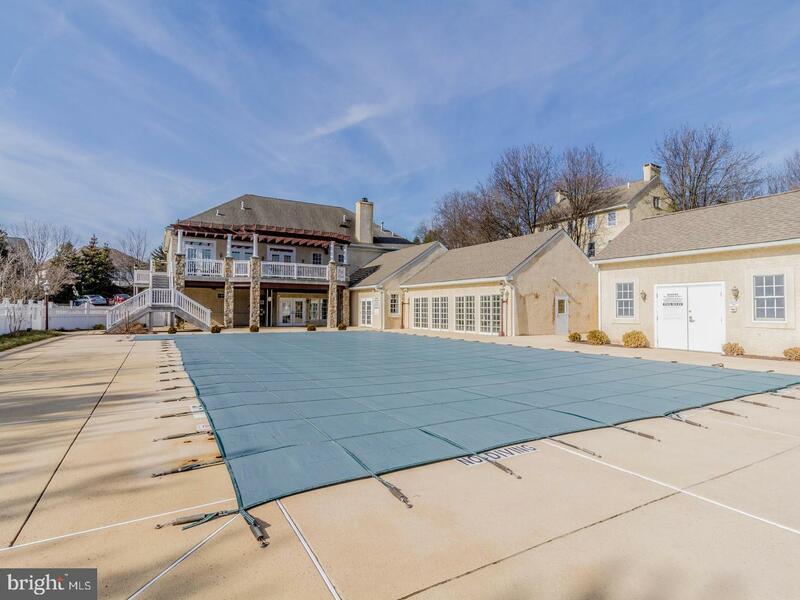 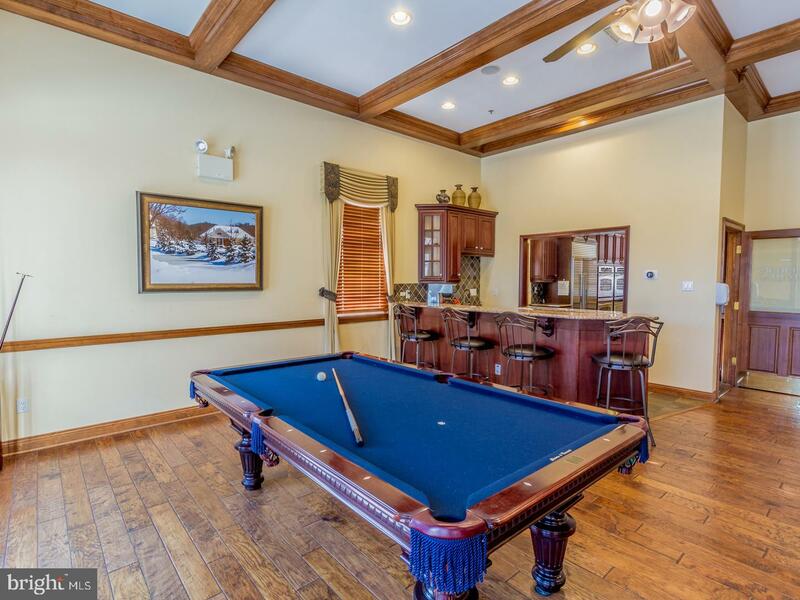 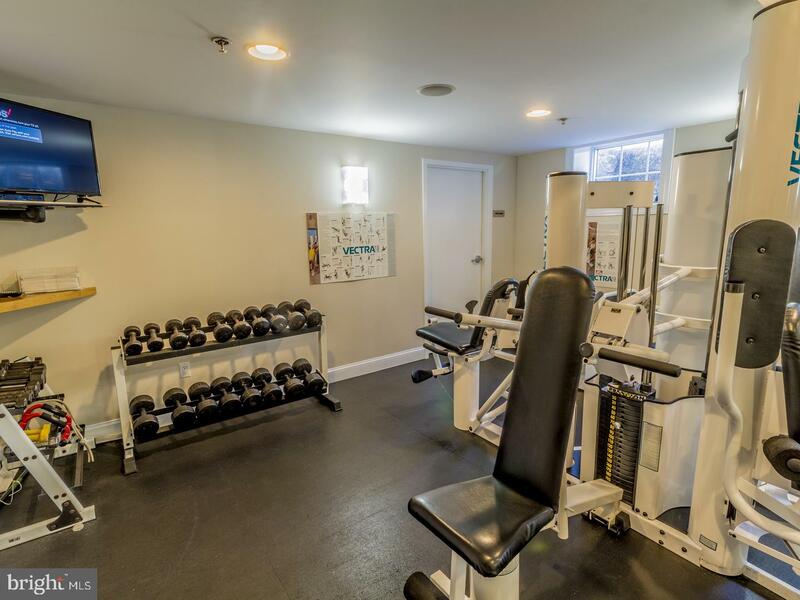 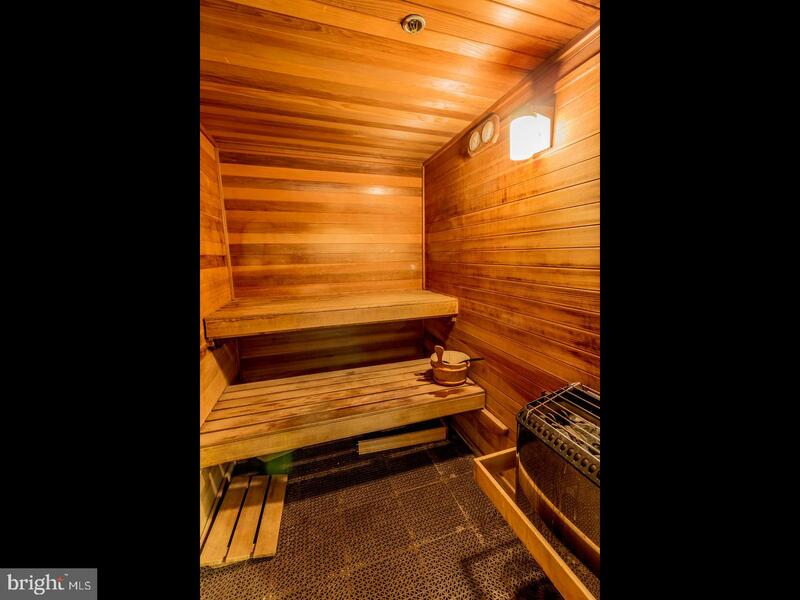 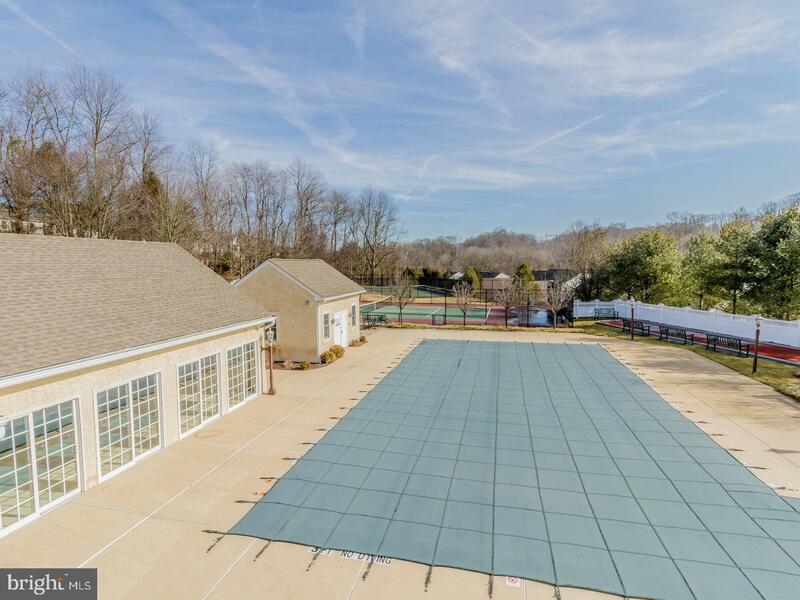 This community offers amenities like no other, indoor and outdoor pool, hot tub, sauna, weight room, workout room, locker rooms, tennis courts, bocce, clubhouse with meeting rooms, gourmet kitchen, and entertaining area with large TV. 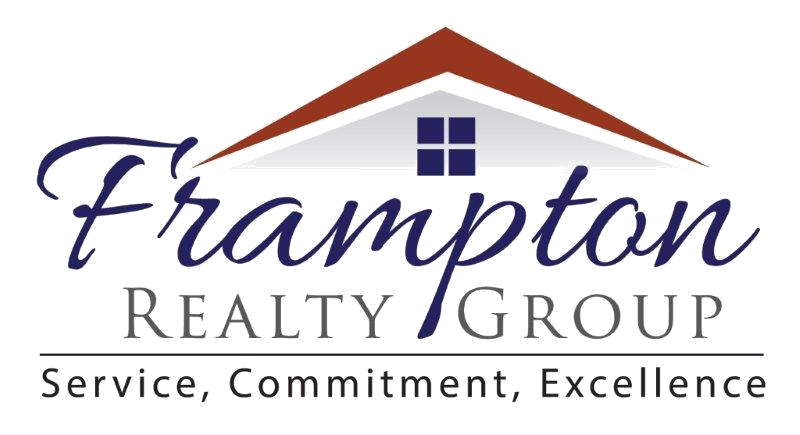 One year home warranty included paid by sellers. 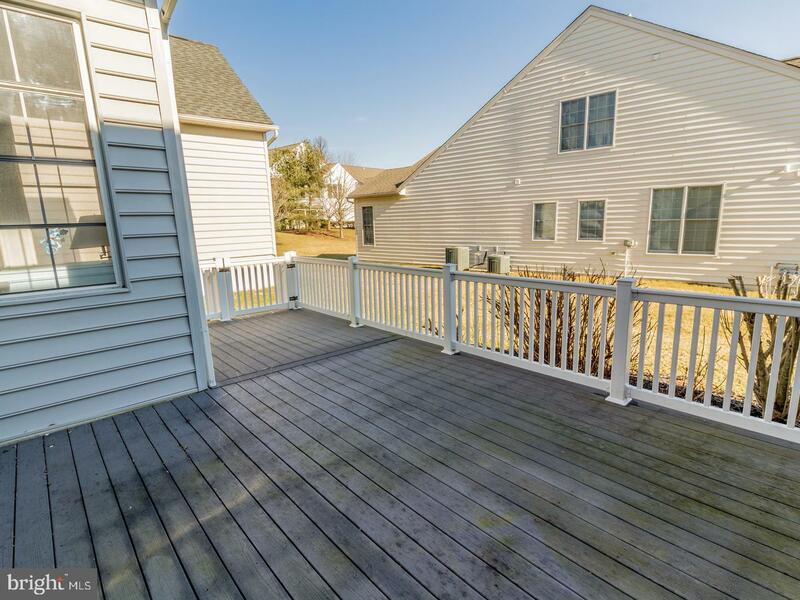 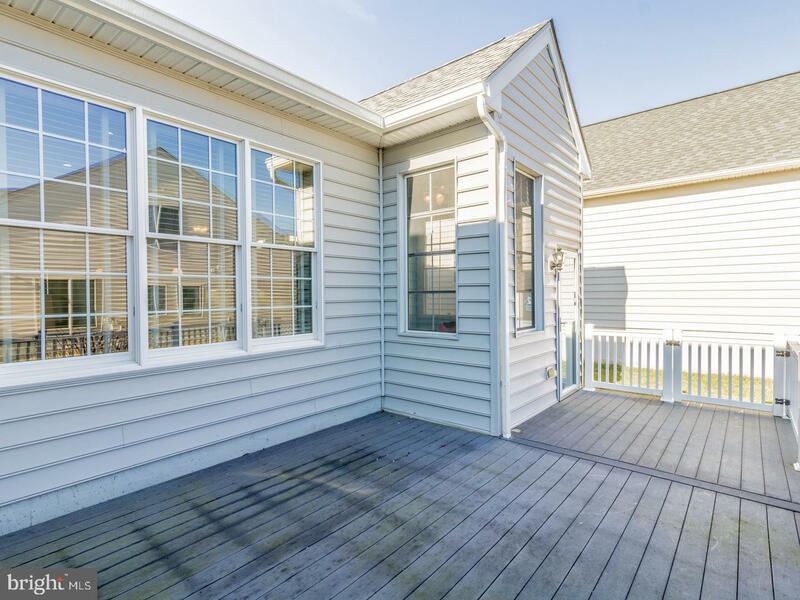 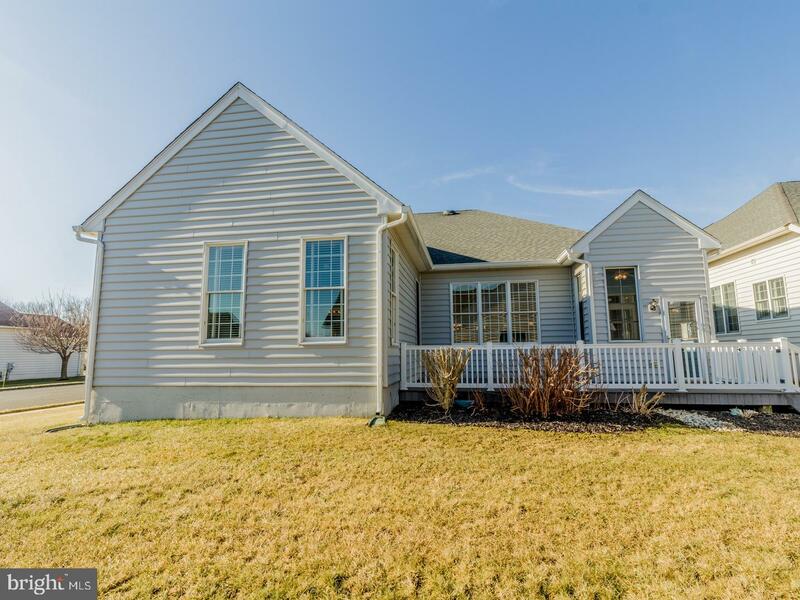 This home is ready for it's new owners and won't last long, so make your appointment today!